A $400,000 grant will help Fort Madison add a passenger platform to its downtown train depot. The Iowa Transportation Commission has approved a $400,000 grant for Fort Madison. They money will be used to help pay for the construction of a passenger platform at the historic downtown train depot. The platform is a requirement for Amtrak to relocate from its 20th Street location to the depot in Riverview Park. The city hopes to begin construction this summer. The project is expected to cost about $1.45 million. The grant through the Iowa Department of Transportation brings the total amount the city has received in state and federal grants to about $1.1 million. Amtrak will contribute $150,000 and the city will cover the rest of the cost. The Enhance Iowa Board has awarded the Keokuk Parks Foundation a grant worth more than $16,000. 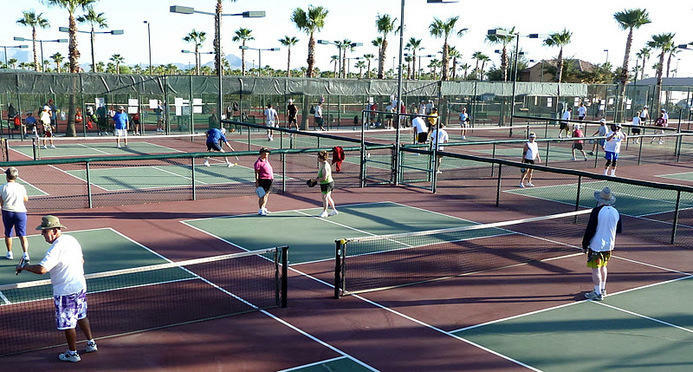 The foundation plans to use the money to transform a vacant, run-down tennis court on North 5th Street into six pickleball courts. The only other courts in Keokuk are indoor courts at the YMCA. Organizers will build six courts in Keokuk thanks in part to a grant from the Enhance Iowa Board. The total cost of the project is about $111,000. The rest of the money will come from public donations, a grant from AARP, and city contributions. The parks foundation hopes to eventually hold tournaments at the site. It also plans to offer lessons there, with equipment available for rental from the Keokuk Public Library. The Keokuk Parks Foundation is trying to raise enough money to renovate the tennis courts on 5th Street into dedicated pickleball courts. The Lee County Board agreed to contribute to that effort this week, pledging $3,500. The Fort Madison City Council this week signed an amended agreement related to the planned relocation of Amtrak to the historic depot in Riverview Park. There is still some work to do, though, before passenger rail service is offered downtown. It has been a slow go for Fort Madison when it comes to the city's attempt to bring passenger rail service downtown. But there might soon be a light at the end of the tunnel. City leaders in Fort Madison still have some work to do before they can bring passenger rail service to the downtown district. The Mississippi River was known to surround the historic Santa Fe Depot in Riverview Park on occasion, which does not bode well for train traffic.